Today..East winds to 25 knots. Wind waves 6 feet. Northwest swell 3 feet. Isolated showers in the morning. Tonight..East winds to 25 knots. Wind waves 7 feet. Isolated showers after midnight. Sunday..East winds to 25 knots. Wind waves 7 feet. Isolated showers in the morning. Sunday night..East winds 20 knots. Wind waves 6 feet. Scattered showers after midnight. Monday..East winds 20 knots. Wind waves 6 feet. Isolated showers. Monday night..Northeast winds 20 knots. Wind waves 6 feet. Northwest swell 3 feet after midnight. Isolated showers in the evening. Scattered showers after midnight. Tuesday..Northeast winds 20 knots. Wind waves 6 feet. Northwest swell 3 feet. Isolated showers. Wednesday..Northeast winds 20 knots. Wind waves 6 to 7 feet. Northwest swell 3 feet. Isolated showers. 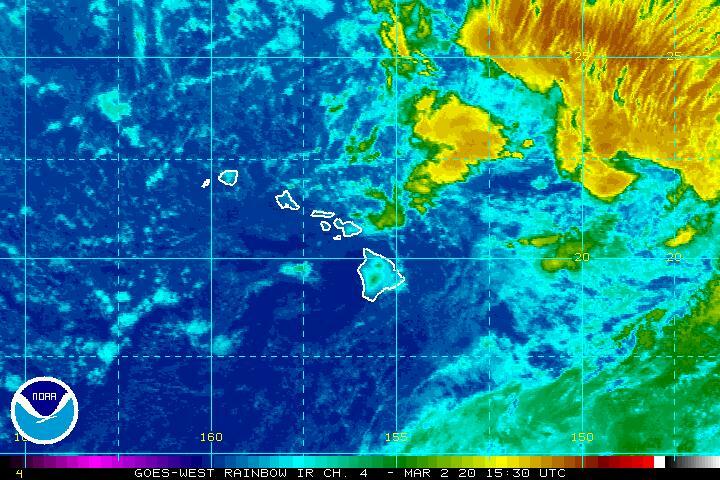 Synopsis for hawaiian coastal waters.. The ridge will strengthen north of the state this weekend, then remain in place into next week.